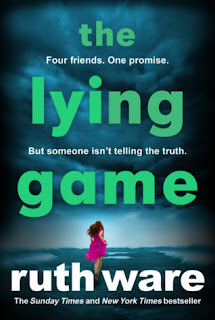 BleachHouseLibrary.ie: Book Review: The Lying Game by Ruth Ware. 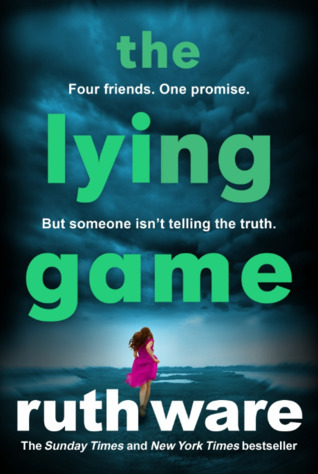 Book Review: The Lying Game by Ruth Ware. Ruth Ware thrilled readers with her previous novels, In a Dark, Dark Wood and The Woman In Cabin 10, and this one is just as sinister. Isa was late to the foursome, after joining their boarding school in fifth term. They soon find themselves embroiled in The Lying Game and ditching their dorms for the bohemian pull of Kate's home, situated in the isolated Reach area near their school. The house is accessed by trawling through marshy sands and the girls enjoy the freedom that Kate's father allows. They can drink, skinny dip and ignore all the usual restrictions afforded to teenagers. It is not too long before all the freedom catches up with the girls and they find themselves tangled up in a web of lies. "The memories are no longer gentle little 'do you remember?' taps on my shoulder, they are slaps, each one an assault. Even away from the crowd they keep coming." The chapters fly along, dipping from the days of boarding school, back to the present day. Isa's role as an attentive mother is juxtaposed against Kate's refusal to be responsible for anyone. The Lying Game is a dark and multi-layered novel, with an eerie feel. It has the Gothic atmosphere of Bronte's Wuthering Heights, the slow-building and taut suspense of Apple Tree Yard and the tension of Alfred Hitchcock classic movies. A gentler pace than Ware's previous novels, but the thrills are subtle and effective. 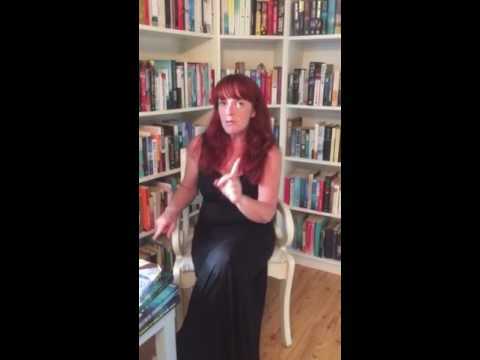 Book Review: Love In Row 27 by Eithne Shortall. Book Review: All At Sea by Pauline Lawless.